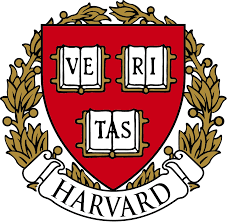 HARVARD COLLEGE is a close-knit undergraduate program located within Harvard University. Teaching and research are intertwined at Harvard College—students contribute to research in labs and libraries and learn from faculty of the highest caliber. The breadth and depth of Harvard’s resources, from library and museum collections to engagement in the arts and athletics, remain unparalleled in higher education. At the heart of Harvard College are the Harvard Houses, where three-fourths of students live, learn, and work together with faculty, students, and graduate students. These multi generational communities provide personal and enriching interactions that shape students both intellectually and socially, while providing a supportive and manageably-sized home inside a larger College and University. With a 375-year tradition of educating leaders in every endeavor, Harvard College is proud to deliver an education focused on both knowing and doing, on individual achievement and on meaningful collaboration in a supportive environment that fosters intellectual risk-taking.